The company converting a disused aluminum smelter near the U.S.-Canada border into the world’s largest digital-currency mining center plans to tap the debt market to fund its ambitious project. And it’s willing to pay for the privilege. Coinmint LLC is seeking to borrow as much as US$50 million over five years to purchase and install servers at its sprawling 1,300-acre site in Massena, according to indicative loan terms sent to investors. The loan will be secured by the smelter and another data center in upstate New York. While the amount the company wishes to borrow is small by credit-market standards, the interest rate for the senior secured revolving-credit facility may entice lenders. Coinmint has proposed an interest rate of as much as 12 per cent a year, a person familiar with the matter said, which is higher than the average yields on the lowest-rated U.S. junk bonds. The loan is a rare opportunity for credit investors to gain exposure to digital currencies, which remain largely isolated from traditional financial markets. In spite of the risks, it’s also a way to bet on the viability of crypto assets, which have had a torrid year, with some tokens plunging as much as 90 per cent. Leary said he expects credit markets will help finance a wide array of crypto businesses and that his company has used private credit facilities in the past. Coinmint said earlier this year it would invest up to US$700 million in revamping its Massena plot, which was an active smelter for Alcoa Corp. until 2014. The new loan facility will form part of this funding, Leary said. Bitcoin and other cryptocurrencies rely on a decentralized network of computers to confirm transactions, rewarding those who verify transactions and maintain a ledger with new coins in a process known as mining. 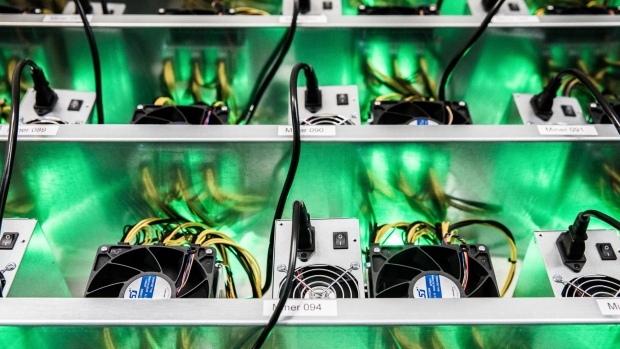 Miners are often drawn to sites with cheap electricity and cold temperatures to cool the servers, setting up in places from Iceland to central Washington State.